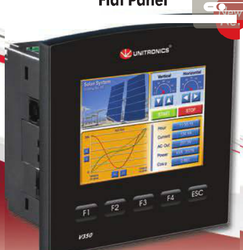 Manufacturer & Trader of PLC Plus rHMI & Programmable Logic Controllers. Our product range also comprises of Fly Ash Brick Machine Control Panel, Electrical Control Panel and Electrical Panels. HMI – graphs color code trends. Troubleshoot vai the HML panel – no pc added. 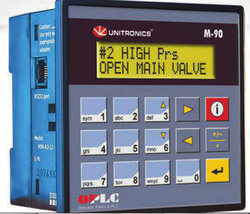 I/O options include high speed temperature and weight measurement. Auto tunr PID, upto 24 independent loops. Recipe programs and datalogging vai data cables. Micro SD card – log,back up, clone and more. Time based login within 3 clicks. Usage Auto turn PID, upto 24 independent loops. Auto turn PID, upto 24 independent loops. Web server: Use built in HTML pages or design pages to view and edit PLC data with the internet. CANbus : Canopen, Unican, SAE J1939 and more. Upto 255 user designed screens. Hundred of images per application. Virtual alpha numeric keypad in (V290 and V530). 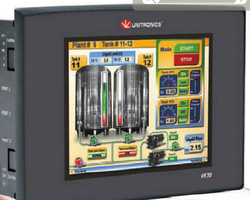 Troubleshoot via the HMI panel- no pc added. 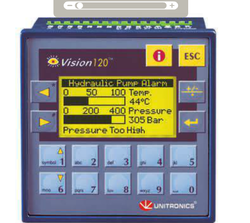 I/O options include high speed, temperature and weight measurement. Auto tune PID , upto 12 independent loops. Recipe programs and datalogging via data loops. Time based control in 3 clicks. CANbus : CANopen, UNIcan, CANbus layer 2. Ports supplied with 1 RS232, RS485 and 1 CANbus,1 port may be added for serial/ethernet. Multilingual: supports over 15 languages and 20 graphic symbols. 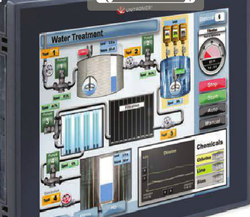 Info mode – troubleshoot via the HMI panel. Shaft-encoder inputs and PWM outputs. Auto tune PID upto 4 loops. Time based control in 3 loops. PC acess via MODBUS or OPC server. 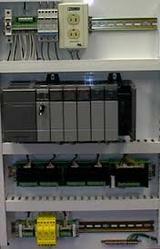 We are one of the best manufacturer of Programmable Logic Controllers. 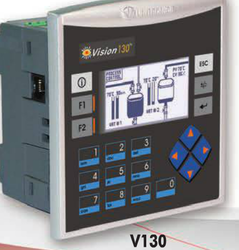 They are extensively used for automation of industrial process. This product is digital and has some analog inputs. These are the devices, which controlled the electronic operations. They are known for its easy storing capacity. It has a hydraulic tank, oil cooler and filter. We manufactured these products in different kind of shapes and designs.